They warned us last night. They were right. An EPIC Chain day was on its way. Often we are warned of the day ahead just to make sure we go to bed at a reasonable time, if a touch of abject panic in our minds. This time we listened and we are glad we did. I wonder about New Zealand engineers and road makers. 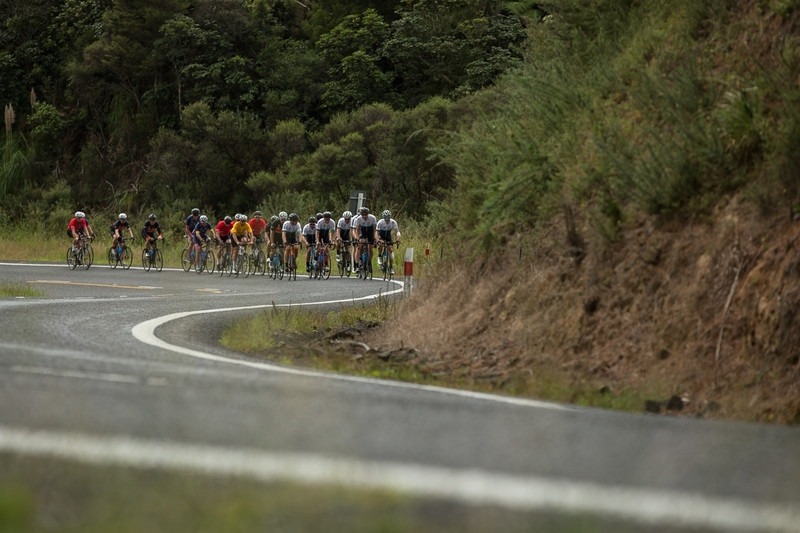 In all our Australian rides, we often find hills and mountains that reach a 10% gradient. In New Zealand, they bred the horses tough and made the roads up to 15-16%. And so, the modern day bike rides had to ride 4 tough hills (or Bergs) on our way from Thames to Pauanui. But more of that later, as Day 3 was preceded by a dinner at the GBD Pub in Thames. “The Big Show” –the Lend Lease/White & Case team of 9, mostly very tall riders. Roger “the Penguin” Teale started with heartfelt words about his Chain journey, and how, after 9 rides, Chain really is a family to him (and many others). His words resonated with the group, whether newbie or hardened Chain Pro. Once the members of the team had been introduced, the team presented the daily jerseys to the worthwhile recipients. 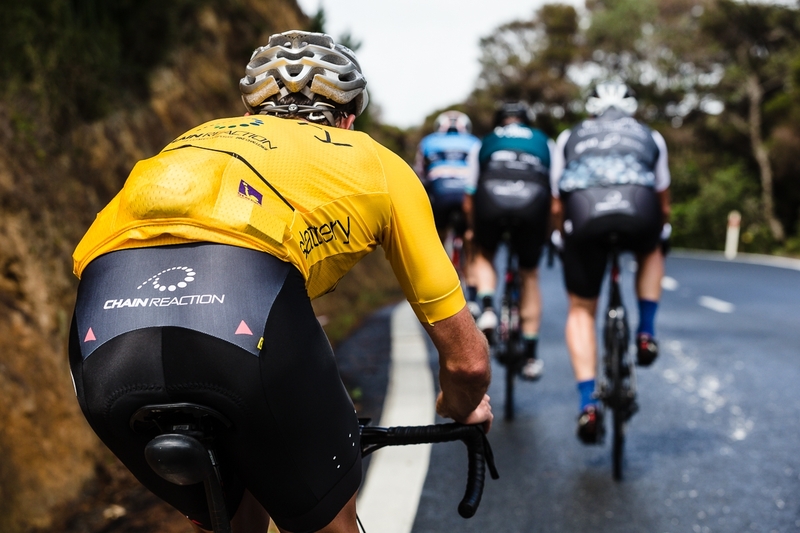 The Black Mercedes jersey to old stager and resident comedian, Andrew MacMillan, the Green to Tom Davis, the white jersey to Craig Bass, and the polka Dot to Marcus Ryan. The drum then commenced for the presentation of Slattery Yellow jersey to Ben Griffiths, the instigator and recruiter of the new Henley team. Our new member to the family has raised over $279,000 and Ben personally has raised just shy of $10,000. 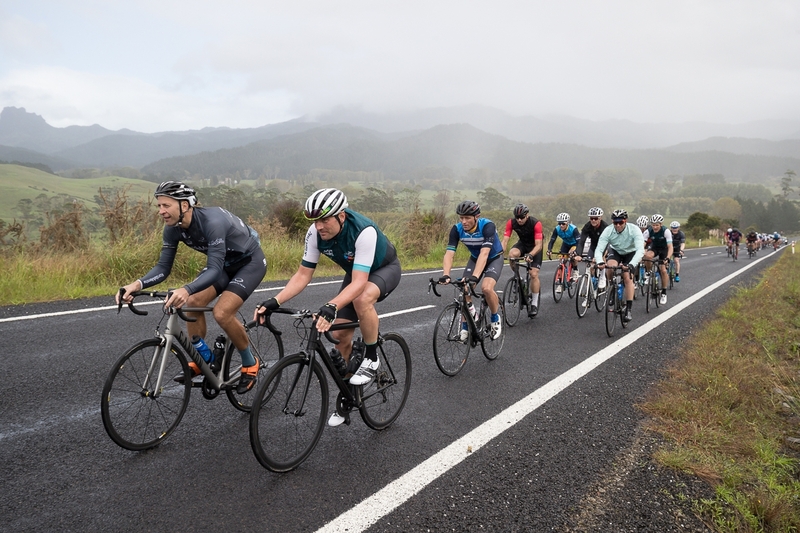 Despite being in a local pub in a small coastal town in the North Island of New Zealand (here insert “temptation”), the haunting thought of the next days 166 km ride had all in bed – even those staying at the grandiosely named “Tuscany on Thames”. Breakfast was consumed at the same venue as the night before, and just as we all placed our collective left cleats on our pedals, RAIN. So back inside for jackets and booties, before Tim Chadd finally had us lined up to start the days ride. Melbourne is known to be able to generate 4 seasons in one day, but we can tell you from our experience today, that the Coromandel Peninsula can really turn on the elements. 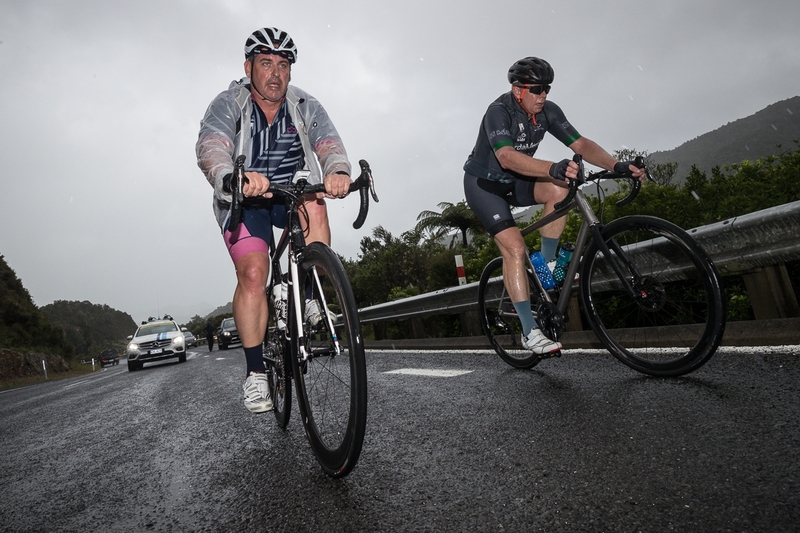 We had, in order, rain, headwind, sun, cloud, sun, rain, then on the biggest climb of the day steady light rain, until we reached the top and headed down the equally steep downhill in pouring sheet rain, smashing directly into our face. 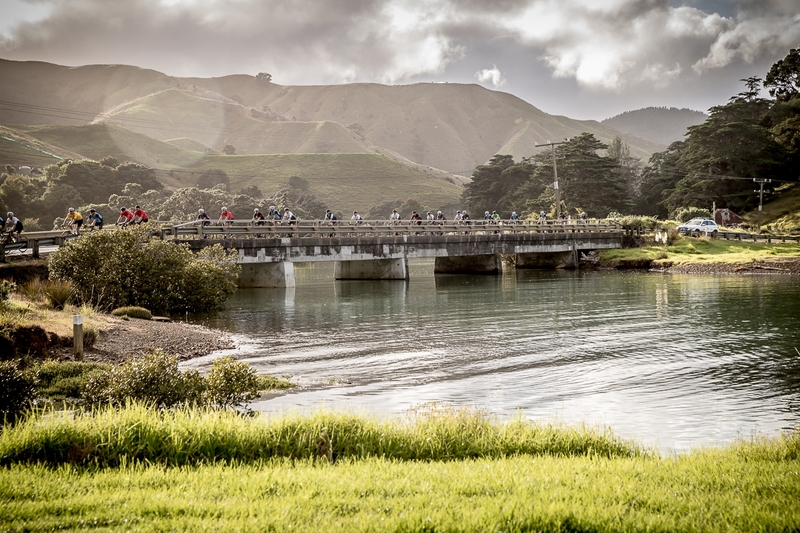 After calming down, it looked like we were in for a lovely gentle rolling 30 kms into Pauanui, however we got to our last stop of the day – a scenic carpark overlooking a small cove, only to be blasted by a further downpour. As they say in the classics “we had it all." So after riding 166km of “lumpy” New Zealand real estate, climbing 2,200 metres over 6 hours and 30 minutes of riding time, we arrived to be greeted by the fantastic staff at the Grand Mecure Puka Park, who provided a drying room for our soaking shoes, and ferried us to our rainforest rooms. One of the “Tour experience” aspects of a Chain Reaction ride is an absolutely necessary massage. It is physically impossible to survive the demands of 7 straight days on the bike without a professionally delivered massage, and in Kelly, Robbie, Rachel, Larna, Alyce, Johnny, together with Kate Senini, our resident Physiotherapist. Our bodies have been kneaded into shape for another challenging Chain day tomorrow. 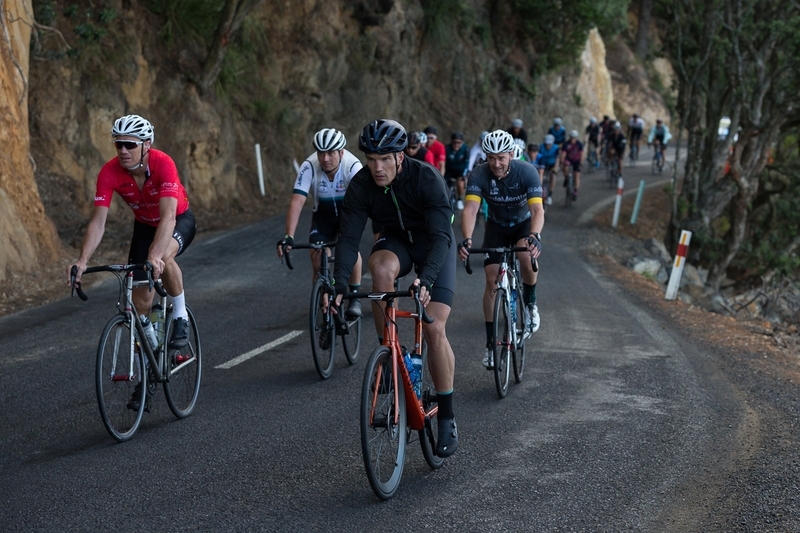 Today’s Statistics :- 166.4 km, 2,200 metres climbed over 6hrs 38 minutes, and a full complement of riders accounted for.